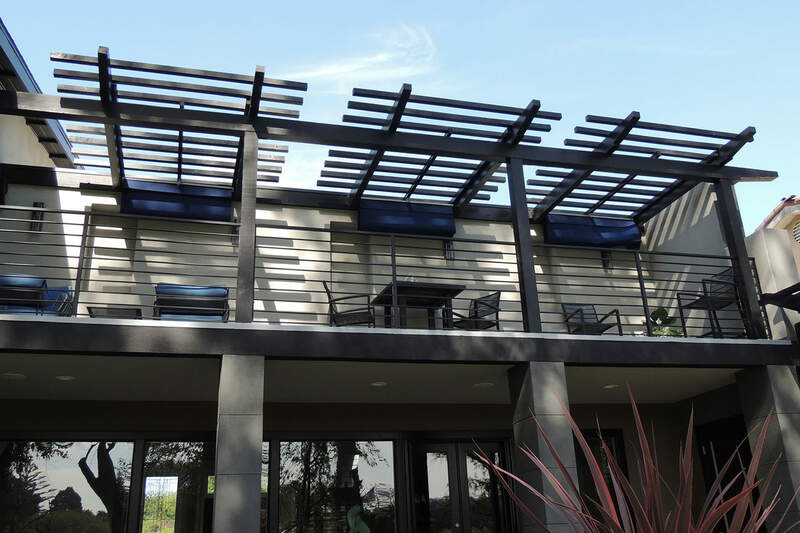 This Southern California project was first proposed in the early fall of 2012 as part of a major home renovation project. It’s unusual for a home renovation to include the indoor and outdoor living space at the same time. Mostly, we find outdoor projects are done separately from indoor projects. This holistic approach to indoor and outdoor living has resulted in a pretty amazing set of living spaces. 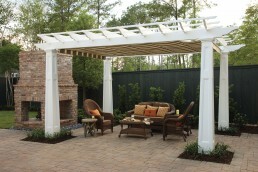 The homeowner’s contractor sent plans for the pergola in the lower dining area and upper terrace framework. Suggestions were made to design the structures to perfectly accommodate our under-mount canopy system. 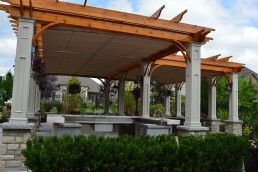 The pergola and terrace structures were completed four and a half months later with guidance from ShadeFX for the field measurements. 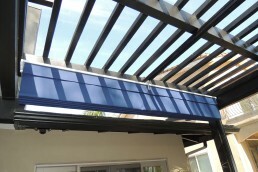 The orders were written and a few weeks later their ShadeFX retractable pergola canopies arrived ready for installation. 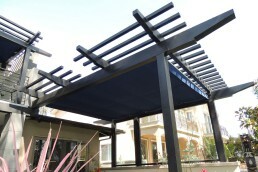 Notice in the images that the drive beam has been powder-coated black, the same color as the pergola. 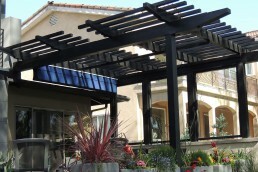 By custom painting the drive beam, the shade canopies better integrate with the overall design of the pergola. We are thrilled the homeowner has made ShadeFX such an important part of their outdoor living spaces. 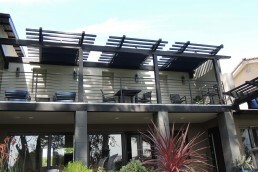 The benefits of working with the designer and contractor are evident in the simplicity of the installed systems.